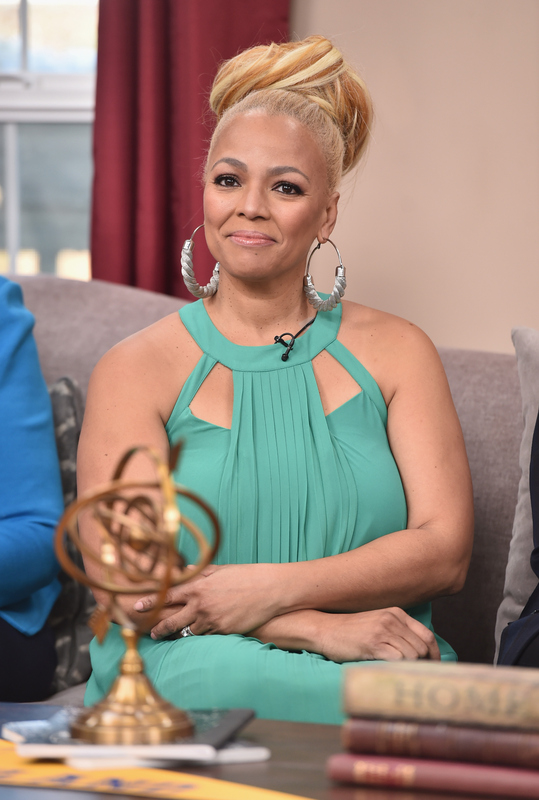 Despite what some of the Real Housewives of Atlanta stars expressed about newest Housewife Kim Fields during the first part of the Season 8 reunion and over the course of the season, Kim Fields deserves to be on Real Housewives of Atlanta . She's hit the mark since day one and has proven time and again why she fits in with some of the most dramatic ladies on Bravo. Even as a fan of RHOA for some time now, if Kim doesn't come back for Season 9 (I assume there will be another season of Atlanta), I don't know if I will watch. That just goes to show you how much I've enjoyed what she's brought to the Housewives table. Throughout Season 8, Kim has been dealt her fair share of criticism for bringing her kids to Jamaica, for being homesick for her husband and family, and for preferring to be at home, rather than hanging with the RHOA women. I mean, when there is that much unnecessary drama, can you blame her? Granted, the drama, the fights, the controversy, and whatever else happens on the show is all part of the deal when it comes to being a Housewife. That said, as a newbie like Kim, it's got to be hard to adjust to this new lifestyle, which the former Facts of Life star briefly touched upon during part one of the reunion and even mentioned during the episodes. However, that still didn't really persuade some of the other ladies and change their opinions about why Kim isn't right for RHOA. This didn't air during the first part of the reunion, but as teased in the Season 8 reunion promo, NeNe Leakes definitely doesn't think Kim should be on RHOA. As she says in the preview video, "Honestly, I do not think Kim is fit for this group of girls." Well, I hate to break it to NeNe and the other ladies, but Kim most certainly is a fit — and here's why. If the women wanted Kim to be more vocal and confrontational, their wishes were granted during the Season 8 reunion. Kim threw shade, spoke her mind, read Kenya Moore like no other, and defended herself like a true Housewife. You show 'em, Kim! Say and think what you want about Kim, who you may or may not think is somewhat timid compared to the other Housewives, but when it comes to serving shade, she does it like a champ. Yes, NeNe and Phaedra Parks taught Kim how to read, but I think it's been part of her all along. Clearly, she just needed a little shove in the right direction. Kim isn't afraid to tell someone what's up, especially when she's up against Kenya. For example, Kim told Kenya to stop interrupting her and wasn't having any of what Kenya was throwing down. Not even the "Gone With the Wind fabulous" Housewife is going to scare away Kim. Despite what the ladies have said, Kim doesn't care what they think about her, especially as a mother and a wife who wants to be around her family. She does what's best for herself and what makes her happy. How can you not admire that? Who wants to see the same old Housewife every season? I sure don't. Kim's a rarity in the Housewives franchise, and what's better than that? That keeps the series fresh and alive. You know you're a true Housewife, when you have the best gifs around. I don't know about you, but I relate to Kim on so many levels. When she speaks, it's like the words are coming right out of my mouth. Plus, the above gif says it all. As an actress, producer, director, mother, wife, and all-around hard worker, Kim is a great role model. Housewives becomes even more enjoyable when there is someone to admire, like Kim. Despite what's been said about Kim not showing her true Housewife side, with quotes like the one above, you know Kim isn't all that afraid of bringing or embracing the drama. Doesn't that make a Bravo star? When she can openly admit that she might not last on RHOA, that makes her even more fantastic. That said, let's hope she does last. As she jokingly said during the reunion, "I'm Kim Fields, f*ck you." Need I say more? Now, if you'll excuse me, I'm going to work on my "Kim Fields Better Come Back To RHOA" campaign.